SCRIBZEE Online is more user-friendly. Why access SCRIBZEE® Online from your PC? On a larger screen it is easier to read, organise, amend and add to your note. 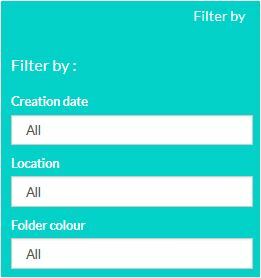 It also offers additional features allowing you to apply a search filter to your notes, organise folders, print notes, and view account statistics (number of notes, available storage capacity). Every time you use it on the move or at a desk – in editing or consultation mode – you can choose the most appropriate screen: smartphone, tablet or computer. Use your normal SCRIBZEE® log-in details (email address and password). To print a note, just click on the print icon in the menu bar above your note. You can then print the PDF file which opens in a new window. the number of pages and notes scanned and the number of folders created. your current and remaining storage capacity on the secure Oxford cloud. 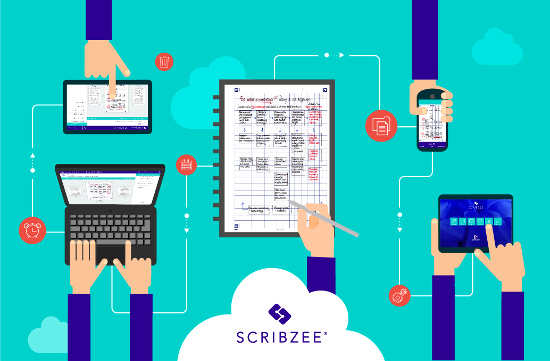 With online access to SCRIBZEE®, you have even more capability to access your handwritten notes anytime, anywhere. Previous Post:The ZTD method: 10 good resolutions you can adopt to make you more productive and better organised in 2018!